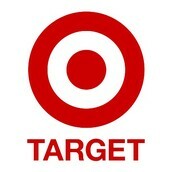 Target employs approximately 360,000 team members and has around 1,800 stores in the US. The company's net worth is 51.65 Billion dollars. 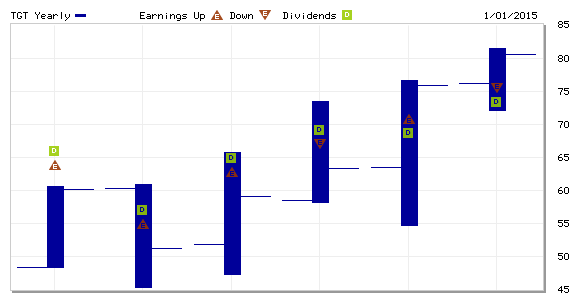 The earnings over the past 5 years have been relatively stable. Target pays dividends, the last dividend payout was for 52 cents, which was payed on 3/10/15. yahoo finance mainly said to buy and to hold. Target Corp. has agreed to pay $10 million to settle a class-action suit related to the company’s data breach in 2013, according to court documents filed Wednesday....this most likely negatively affects the stock, because buyers may be scared that this kind of payout will take a hit on target. Target Corp. plans to boost pay of all its workers to at least $9 an hour starting next month, following a similar move by its biggest rival Wal-Mart Stores Inc...This is most likely good for targets stocks, because it shows that target is stable enough to raise wages. after researching this company and it's stock I would still purchase it, because it appears to be a steady option. I've learned that you can not predict anything from the stocks and you just have to research the best you can and invest money into a company that you believe is the best.